If you can’t make it to Las Vegas, make sure you tune into the conference backchannel to find valuable resources and information being shared at DevLearn 2017. 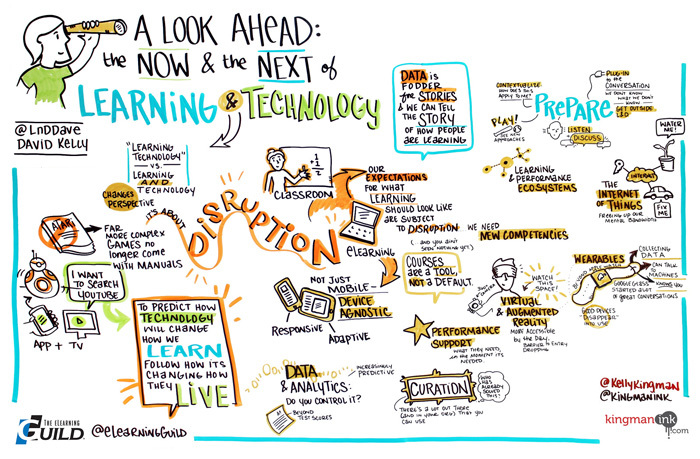 Follow @DevLearn on Twitter or join the conversation using the hashtag #DevLearn. The DevLearn Docent program serves to enhance the conference experience for any attendee interested in having an industry expert guided experience. The program is completely optional and you can participate in as few or as many of the guided activities as you'd like. This is a great opportunity for anyone planning to attend the DevLearn Conference & Expo. 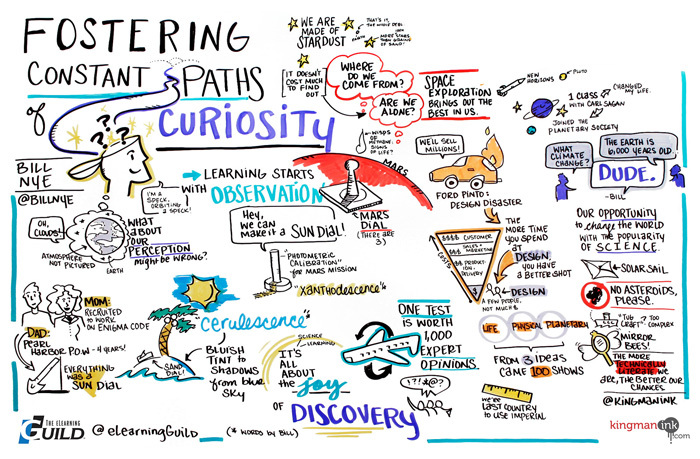 Sketchnotes are growing in popularity as a form of capturing and sharing information. They are especially popular at conferences, and we’re excited to place a spotlight on this growing trend that exists at the intersection of art and learning. What’s Going on at DevLearn? We’re bringing in a professional sketchnote artist to capture key learnings from our keynotes and many other sessions, which will enable attendees to see these works of art come to life. 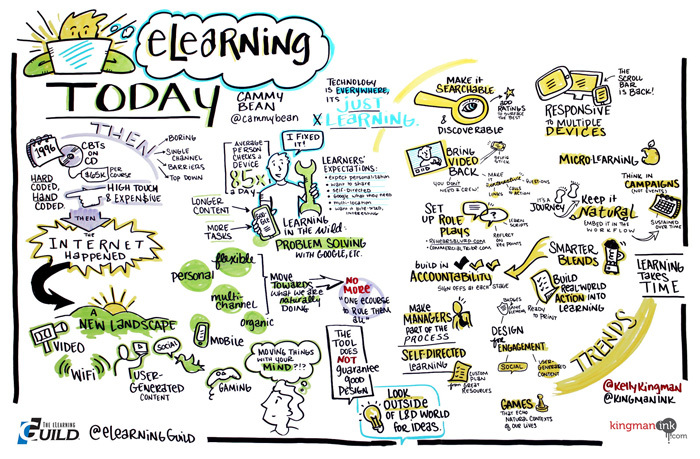 You will also enjoy a growing gallery of sketchnote boards on display throughout the conference. We encourage you to join in the fun and try sketchnoting for yourself. If you do, be sure to share your sketchnote with the community by adding the hashtag #DevLearn to your social media posts.